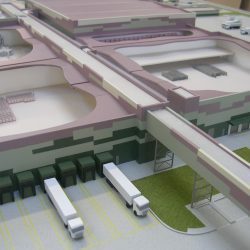 Inver Models was commissioned to produce an architectural model of a factory for a dairy packaging plant, now displayed in the client’s visitors centre. 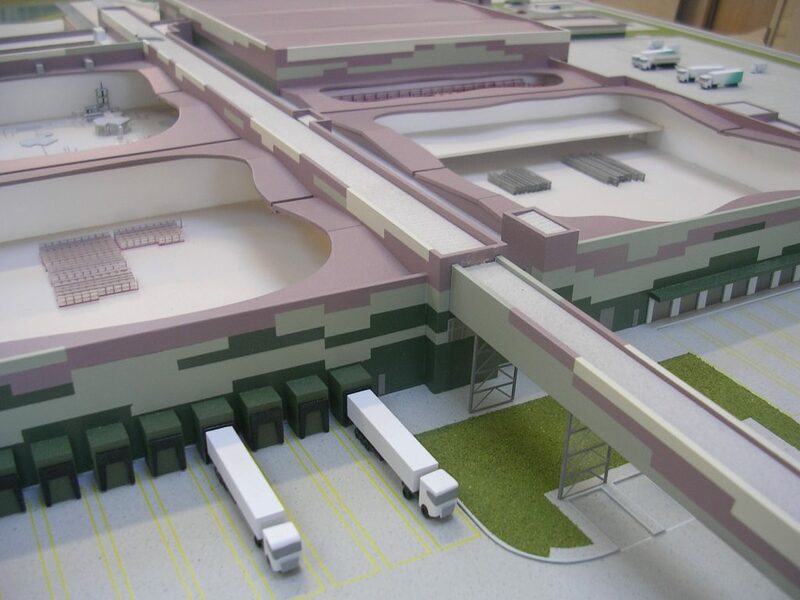 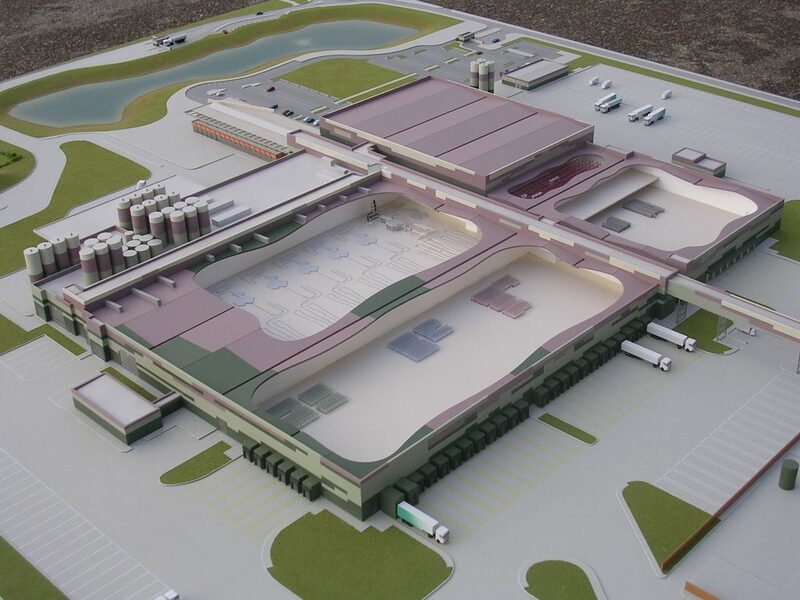 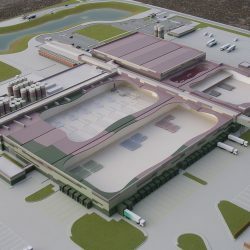 Modelled at 1:350 scale, cutaway sections reveal cold stores and a bottling plant, whilst loading bays and holding areas are modelled externally. 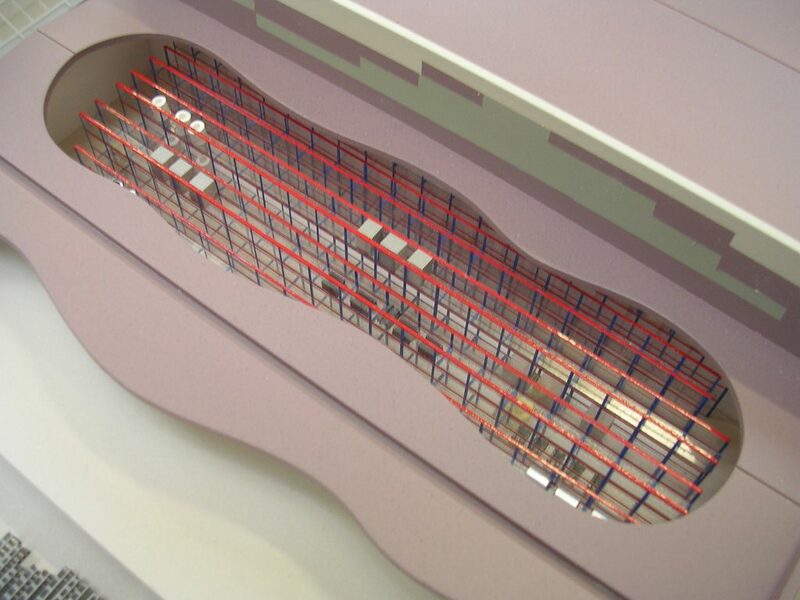 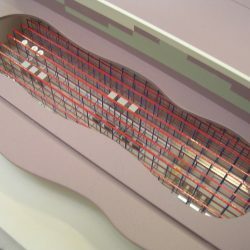 The model was delivered to site complete with a flat-MDF plinth for display and transportation.